Los Angeles (AFP) - Can a splash of gray pavement paint help combat global warming? In Los Angeles, where summer temperatures regularly surpass 100 degrees Fahrenheit (38 degrees Celsius), workers are coating streets in special gray treatments in a bid to do just that. The City of Angels, home to four million people, is the first major city to test the technology. Normal black asphalt absorbs 80 to 95 percent of sunlight, while the gray "cool pavement" reflects it -- dramatically lowering ground temperature and reducing urban street heat, advocates of the method say. During a demonstration of the technique, Jeff Luzar -- sales director at GuardTop, which markets the product -- showed how applying the paint could drop street temperatures by about 12 degrees Fahrenheit after just one coat. Los Angeles is the first city in California to test the treatment on a public road, after initial trials on parking lots, according to Greg Spotts, assistant director of the city's Bureau of Street Services. "We're hoping to inspire other cities to experiment with different ways to reduce the heat island effect," he said. "And we're hoping to get manufacturers to come up with some new products." "Potentially there could be a huge market for cool pavement products, and in fact, it's part of a much larger economic trend where solutions for climate change could be the next great investments for the future," Spotts added. The city will also monitor how Angelenos react to the newfangled asphalt -- and how quickly the notoriously thick LA traffic dirties the gray coating. George Ban-Weiss, an assistant professor of Civil and Environmental Engineering at the University of Southern California, said cool pavements show promise in reducing heat, but "may have some environmental penalties." "Recent and current research is working out whether the environmental benefits of cool pavements outweigh those penalties," Ban-Weiss told AFP. 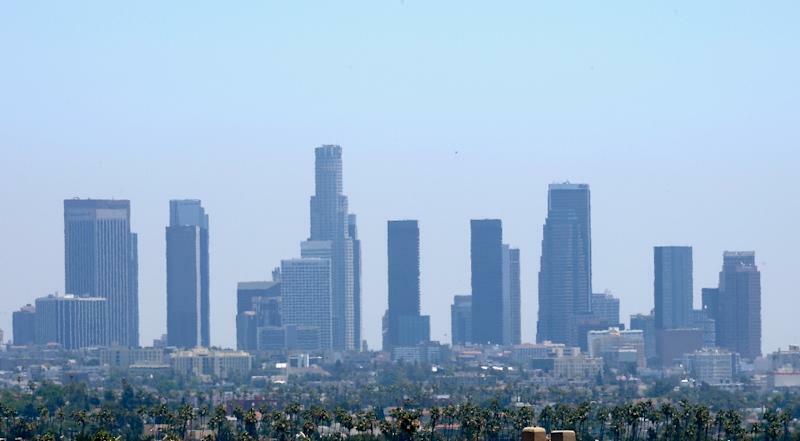 Still, "the city of Los Angeles is taking the right approach and installing and assessing several cool pavement test sections before committing to widespread adoption," he said. Ban-Weiss noted that heat mitigation strategies like planting trees along streets and using cool roofing materials were more "no-brainer" remedies. Alan Barreca, an environmental science professor at the University of California, Los Angeles, said the pavement cooling technology could be more equitable than current methods like air conditioning. "Not everyone has the resources to use air conditioning, so there's concern that some low-income families will suffer," he said. "That bothers me on a moral dimension. The pavement would provide benefits to everyone." "It can protect people who have to be outdoors," he added. Plus, he added, "lower temperatures -- due to the pavement -- mean less reliance on air conditioning. So, that means less greenhouse gases."